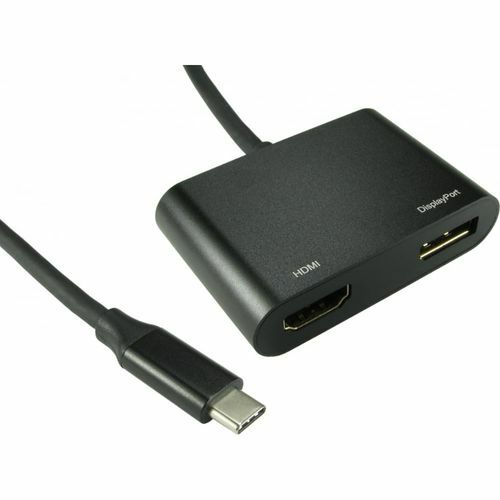 This USB type C adapter can output a DisplayPort and HDMI signal, it can be used in mirror screen and extend modes. This is ideally suited to laptops with two USB type C ports so that one can be used for charging and one can be used for this multi display adapter. Please note that this is not an MST hub but the ports can be used simultaneously. If using both ports the DisplayPort output will be downgraded to 4k30Hz.